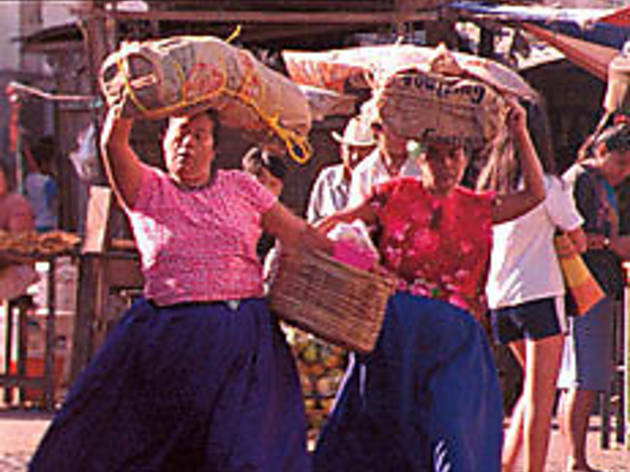 MARKET ECONOMY Zapotec women balance the goods. Supposedly, the Isthmus Zapotecs living in Juchitn, a city in Oaxaca, Mexico, boast a fascinating matriarchal society. But while that assertion is made many times by the narrator and backed with quotes from luminaries like Sergei Eisenstein and Frida Kahlo, this rambling documentary never makes a convincing case. Shot over a period of ten years (and languishing on the festival circuit since 2000), Maureen Gosling and Ellen Osborne’s labor of love is a hodgepodge of disorganized interviews with locals, scenic festival footage and a cursory history of the ancient culture.